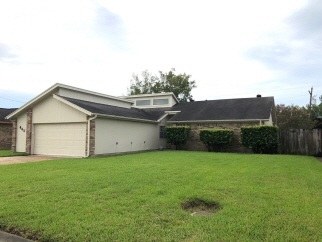 Mostly updated 3/2/2 in popular Port Neches neighborhood. Beautiful kitchen with granite countertops, new cabinets, and tile floors. Living and dining rooms have bamboo flooring, master and one bedroom have new carpet, and one bedroom has laminate. Living room has vaulted ceiling and pretty fireplace. Spacious master bedroom has full bath with walk-in closet. Inside utility room leads to attached garage. Partially covered patio, privacy-fenced yard. A home to call yours!